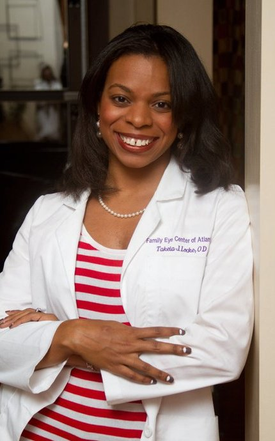 Dr. Takeia Locke received her Doctorate of Optometry from Nova Southeastern University. While in school, she discovered that she can combine her desire to encourage children to pursue excellence in education with her passion for Optometry by pursuing a specialty in Pediatrics and Vision Therapy. She completed a competitive residency at Nova and decided that her focus would be on treating children, athletes, and special needs patients to ensure their vision does not negatively impact their lifestyle and learning. The fact is as much as 80% of early learning begins with a child’s eyes. Therefore, it is her goal to see that their foundation for learning is not delayed due to undiagnosed vision disorders. Her career is purpose driven thus she identified her love of Optometry at the age of 16. She attended Howard University on a swim and academic scholarship to pursue Health Management knowing then her goal was to build her career in Optometry. 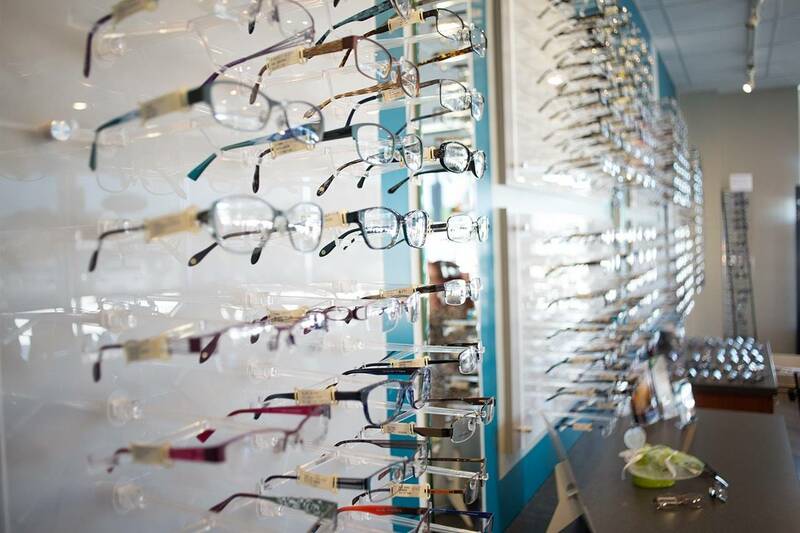 Her passion for optometry has earned her numerous awards in several specialties including contact lens, school screenings, and pediatrics and vision therapy. She was honored as a graduate with professional distinction and student of the year at Nova. She also graduated with honors as a part of Beta Sigma Kappa. Dr. Locke also has a passion for mission work in other countries and has volunteered in Jamaica several times as well as for the Special Olympics, health fairs, and school screenings. Dr. Locke has published research and articles on Autism, Glaucoma and Dry Eye Disease. In addition, she has lectured in all areas of the field to her colleagues as well as community organizations. She serves on the board of three non-profit organizations and is a member of AOA, COVD, NSU Alumni Association and Buckhead Business Association. Please contact her at info@familyeyecareatlanta.com if you would like to schedule her to speak to your school or organization. Since each individual has unique needs Dr. Locke enjoys listening to patients, getting to know them and using her knowledge to provide the best solutions for their eye care even in the most challenging cases. She has been known to discuss healthy habits with her patients openly and emphasizes that good habits result in good vision. 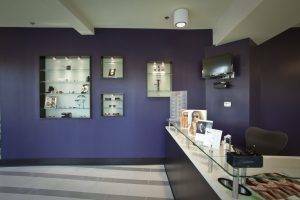 Dr. Locke is committed to caring for the health and vision of the entire family and believes each family member should enjoy comfortable vision, stylishly. In her free time Dr. Locke enjoys traveling and hopes to provide vision therapy in third world countries if she ever retires. She enjoys spending time with her family, including her husband and three young nephews, listening to music, and staying current on eyewear trends. Dr. Locke is an InfantSEE® provider and children of all ages from all around Buckhead, Sandy Springs, Brookhaven and Fulton County, GA are welcome.